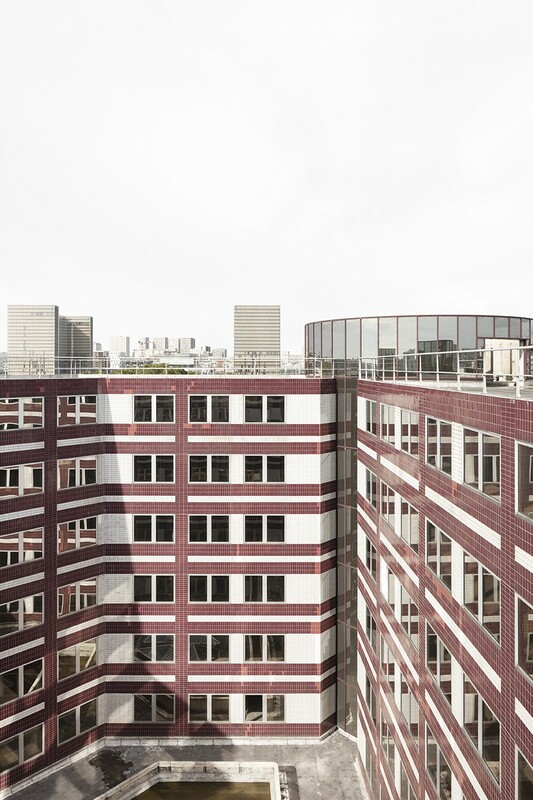 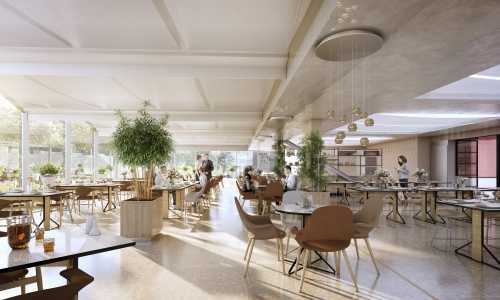 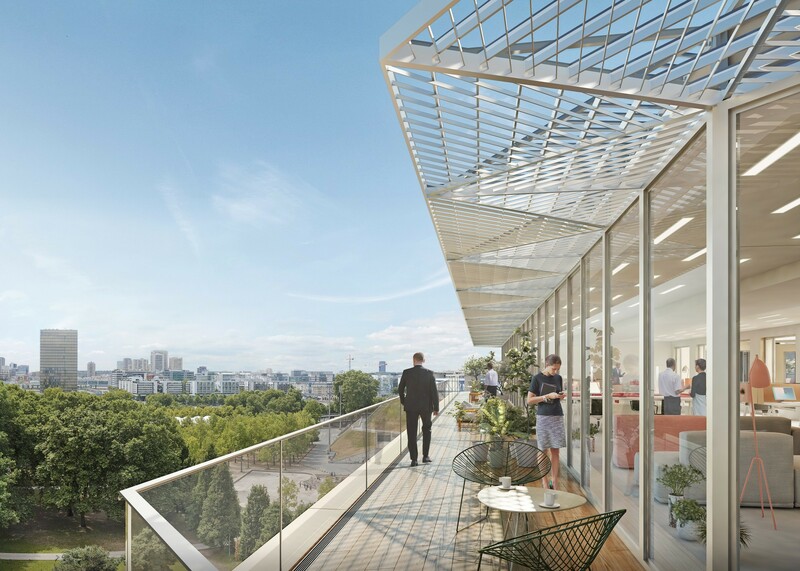 The studio is refurbishing and transforming 12,000 sqm of office space on Rue de Bercy in Paris' 12th arrondissement. 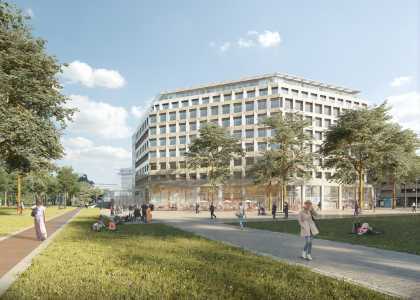 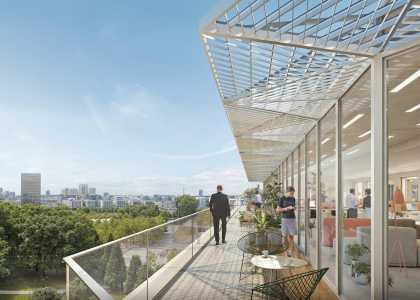 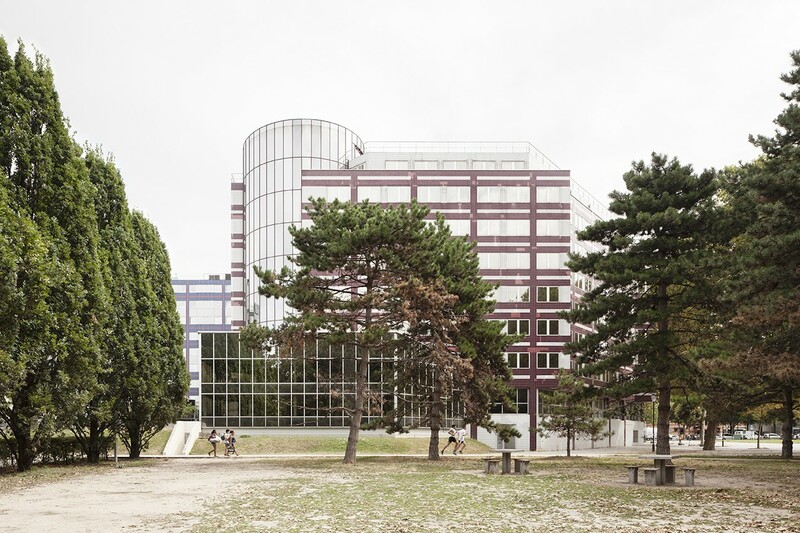 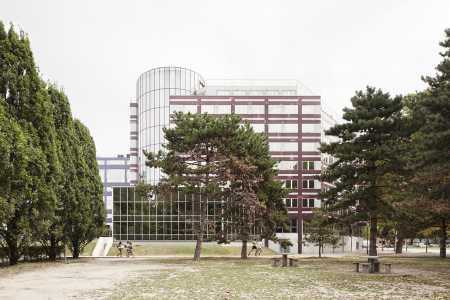 The project opens up the building, which paradoxically had been cut off from its surroundings: housing the car park of the AccorHotels Arena, the ground floor turned its back on the green spaces of the Place Bernstein and the adjoining riverside park. 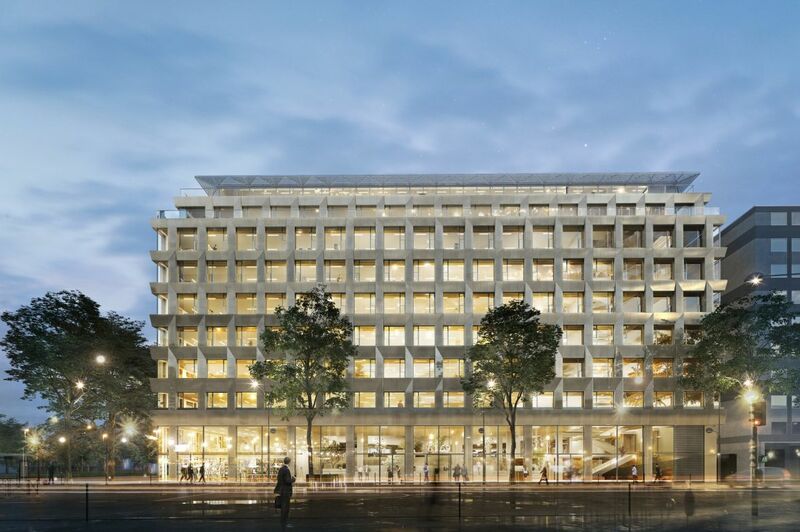 The entrance and lobby on Rue de Bercy are preserved, but the car park is reduced to a central pocket encircled by retail outlets that open to the exterior. At the centre of the building we have demolished the base (ground and first floors) of the original building to create an atrium bathed in natural light. 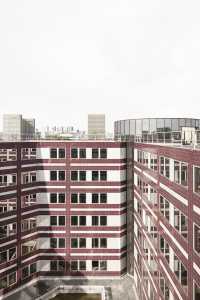 With regards massing, the building is lifted up to the height of the three protruding cylinders. 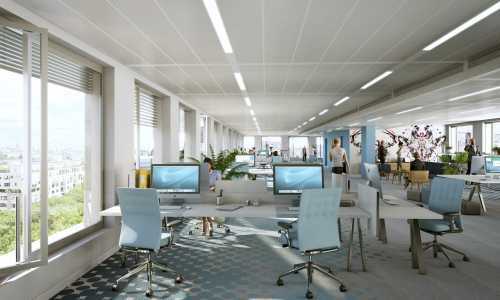 The two corners are closed and the concrete walls of the cylinders demolished to create a large open floor plate on each floor for improved internal organisation. 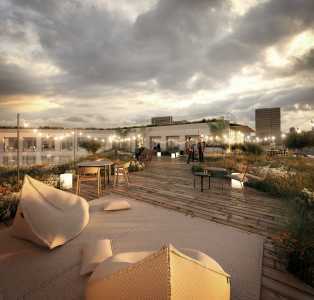 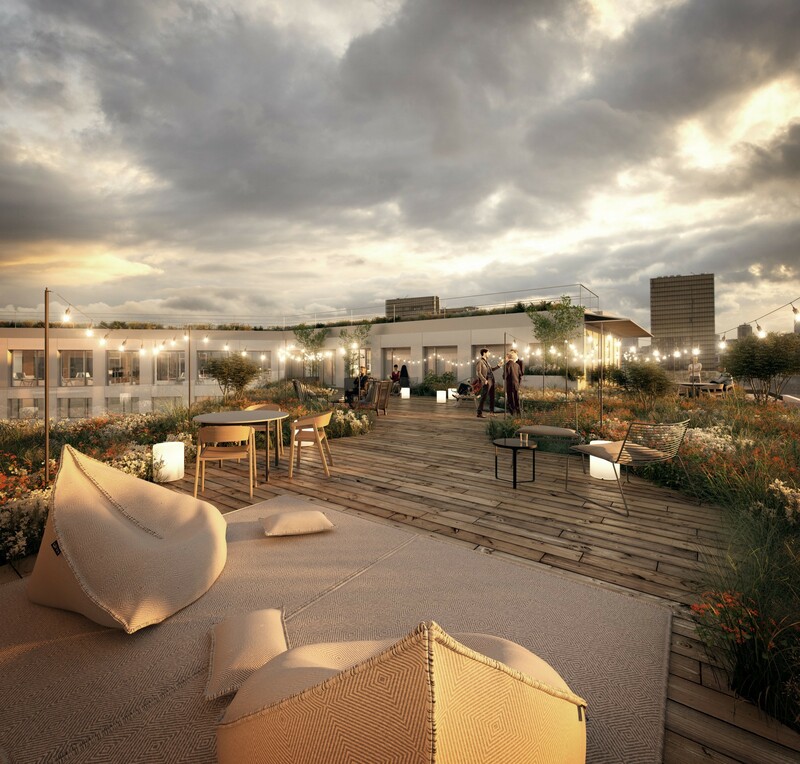 An 8-storey agricultural greenhouse will be built on the roof of the restaurant. 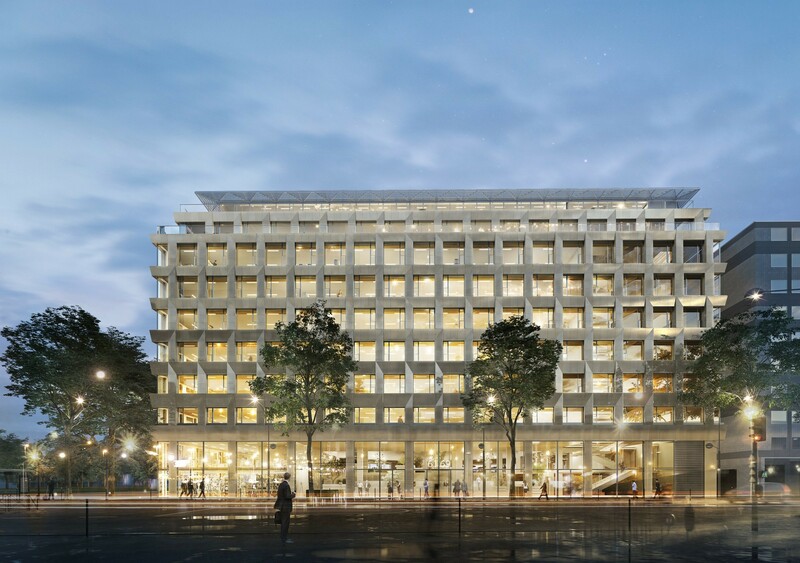 On the facade an inclination is incorporated which lightens the solid panels between glazed openings, while above, the spandrel panels are cut down to allow for more glazing and make the building appear lighter.